According to my food calendar June 15th is Lobster Day. But, it’s also the birth date of one curious inventor and food man, Johnny Garneau. He passed away in 2013 at age 90 but the legend lives on. 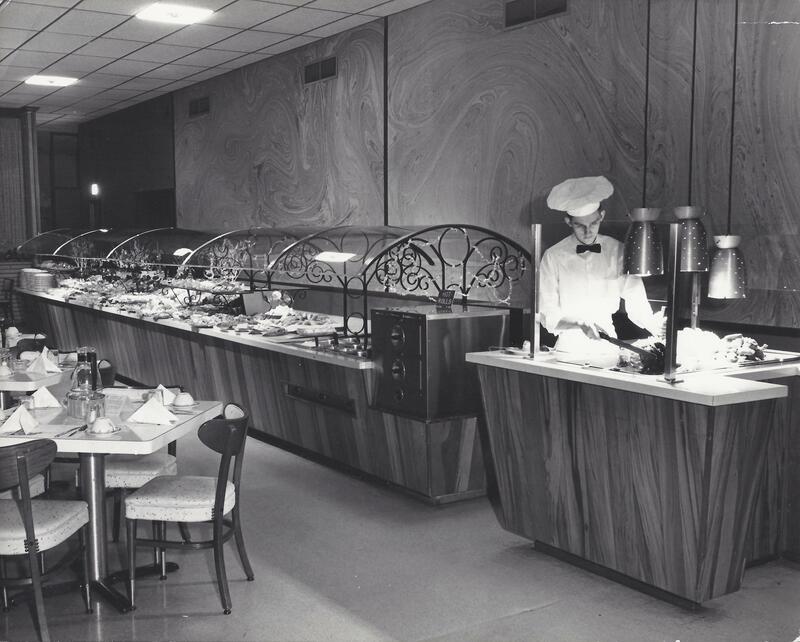 I’m sure you’ve seen it – a sneeze guard is that Plexiglass cover required by law to be over salad bars and buffets. My dad, Johnny Garneau, invented it. Smithsonian Magazine was so fascinated with the genesis of the sneeze guard that reporter K. Annabelle Smith went digging even as far as contacting the U.S. Patent and Trademark Office. An Internet search led her to me, the self-proclaimed Sneeze Guard Heiress. Johnny Garneau was a dreamer, entrepreneur and entertainer, but most of all, a restaurant man. After the war (the big one, WWII), he sat on the bumper of his ’46 Chevy, slapped his hand on his knee and told my mom, “I’m going to start a restaurant!” And, by golly, he did! He opened The Beanery – with curb service and menu of hot dogs, burgers, fries and shakes in 36 flavors. That was only the beginning. Fast forward to late 1950s when the sneeze guard was born. A lot of the things we see and use daily were invented by someone who had the dream and the guts to take an idea to fruition. Read the article here from Smithsonian Magazine. Enjoy the story of the inventor and the images of one of our country’s greatest inventions.